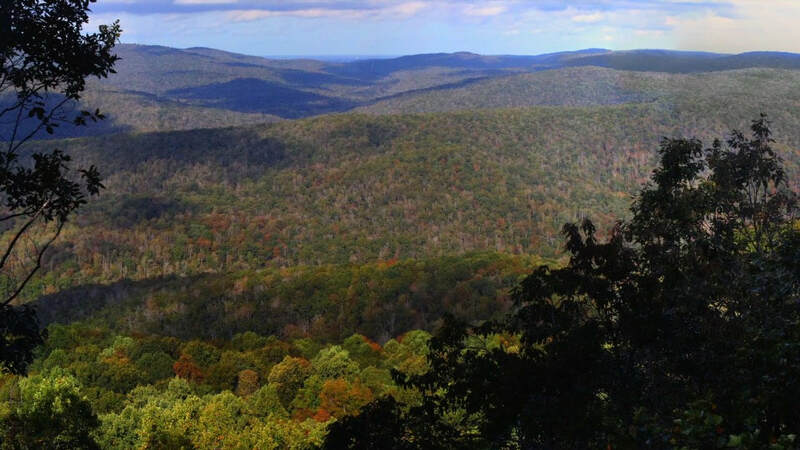 The acquisition of nearly 4,000 acres south of Sewanee immediately made Sherwood Forest a third major unit of South Cumberland State Park. One of Tennessee State Parks' first objectives was to get a trail build on the property, so the public could begin to enjoy its latest wild land holding in the South Cumberland region. View of the Crow Creek Valley from the new overlook near Sherwood Natural Bridge. Special thanks to the many amazing volunteers who have assisted Ranger Jason Reyonolds in the construction of the park's newest trail!